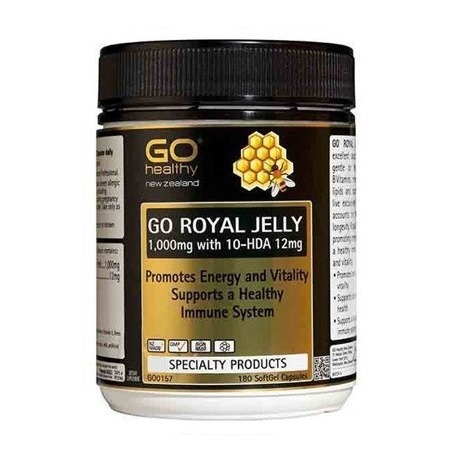 Description: Royal Jelly (180 capsules, 1000mg) by Go Healthy. Premium quality, 100% New Zealand sourced. Royal jelly, also often called "milk of bees" or "royal juice", is a great anti-aging natural agent! Its benefits are extensively associated with healthier skin, hair and a more youthful appearance. It is also know to be a rich source of Pantothenic Acid (Vitamin B5) which helps reduce blood triglycerides (bad cholesterol) and treats rheumatoid arthritis. Royal jelly is fed to all bees for the first three days of life, after which only the Queen bee continues to receive it. This exclusive diet extends the Queen bee's life span to about 6 years, whereas the worker bees only have about 6 weeks of life. 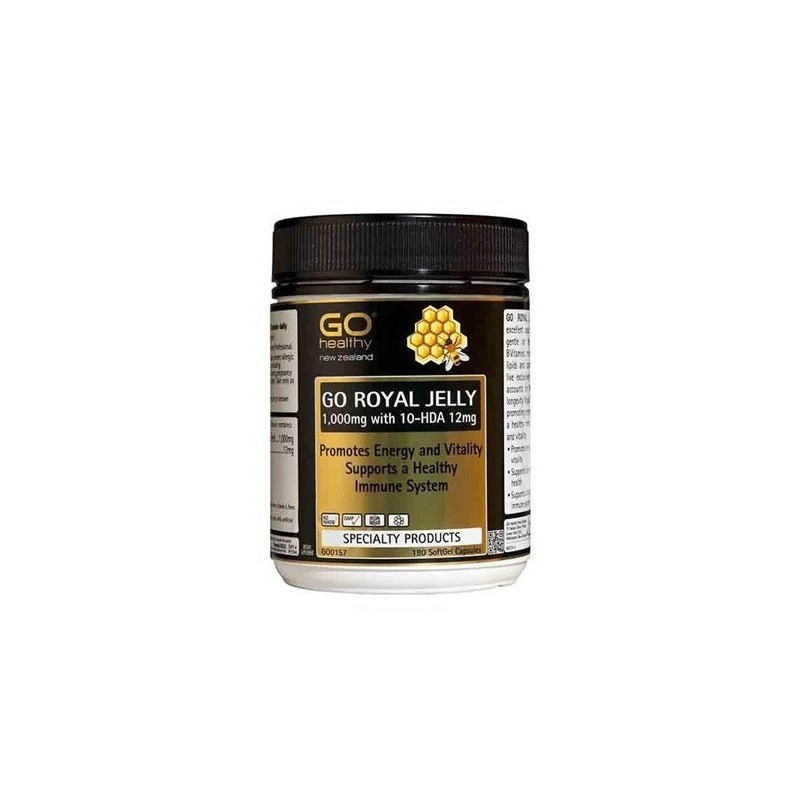 Traditionally, it is believed that Royal jelly can have the same life giving effects for the human body as it does for the Queen bee. 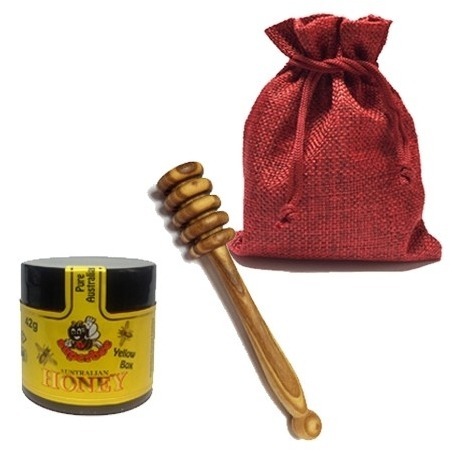 An excellent supplement for daily rejuvenating and revitalising, this queen bee's food is strongly recommended as a delightful gift for all the wonderful wives, mums and grandmas.